IS YOUR FAVORITE SITE LINKED HERE? This site officially endorsed by the County and City of Kalamazoo since 1995. �Kalamazoo is all right,� they say. �But I want to see the world.� And when they have looked the world over they come back saying it is all like Kalamazoo. From Art to Wine, Computers to Home Repair! The most complete and easy to use listing of web sites related to Kalamazoo. Locate a web site by category or by name. If it's not listed here, we don't know about it. 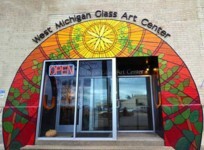 What to do and see in Kalamazoo. Links to all local school webs. Links to local events calendars. Yes, there really is a Kalamazoo history! Where to stay in Kalamazoo. Get closer to where we live. 150+ Organizations and religious web sites. Entries from amateurs and professionals. Representing Kalamazoo - City, County, State and Federal. From daycare to senior services. Professional, collegiate, and just for fun. Add a link to your site and our site. Local conditions and some useful links.